Basantdeep is an Addiction Counselor, Certified KRI Kundalini and Classical yoga instructor, Hormone Yoga Therapist, Rei-Ki Practitioner, Beyond Addiction Instructor/Trainer and Healthy Breast Educator. Basantdeep completed the Beyond Addiction training with Sat Dharam Kaur in 2008 and has been using it to help individuals conquer addictive behaviours. 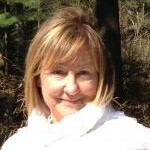 She teaches aspects of the program the program at Vitanova Foundation Treatment Center in Woodbridge and at the Medical Withdrawal Unit at CAMH (Center for Addiction and Mental Health) in Toronto, as well as in her private practice. As a certified Healthy Breast Educator, Basantdeep assists women in recovering from breast cancer through teaching the Healthy Breast Program designed by Sat Dharam Kaur ND. Basantdeep also provides training and classes for women interested in hormonal balance, improved fertility and menopausal symptoms management. Her private practice is based in Richmond Hill Ontario.